Our first newsletter of 2019 headlines the start of donations and sponsorship directed at selected organisations. Back at the beginning of 2018, we announced a new initiative, Skelton Plant Hire Ltd would give something back to the community and to the people who really do need support, re-read the newsletter here. We added 3 new Kubota KX030-4 excavators to our fleet, named Max, Oscar and Rupert, collectively known as MOR, and pledged to donate part of the Hire revenue to carefully selected charitable causes. SPH are pleased to have donated £275 to this worthwhile cause. 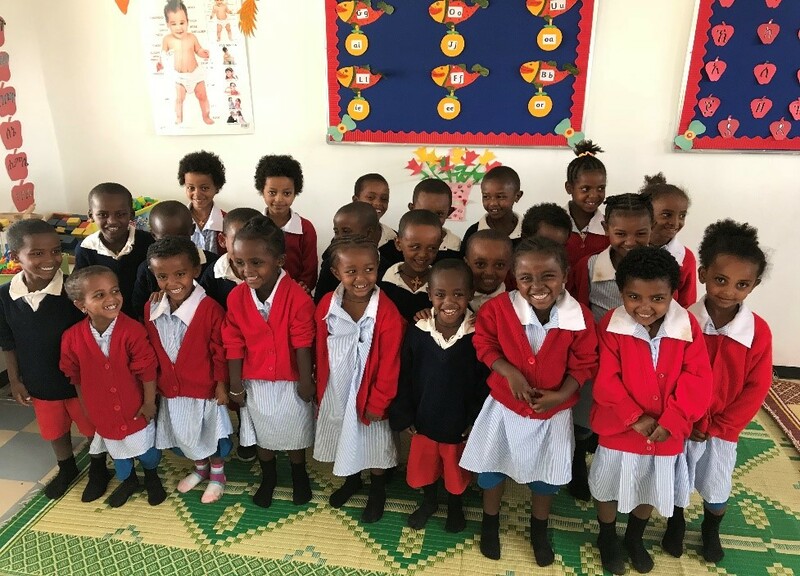 Their first school, St George’s, opened its doors to 50 pupils in northern Ethiopia in 2014 and four years on, it has only gone from strength to strength, with hugely impressive results. St George’s now educates 300 hundred boys and girls aged between 4 and 18, with academic results in 2018  four times better than the national average; and in a country where half of all children leave school by the age of eight, their retention rate over the 2017/18 academic year  was an extraordinary 100 per cent. Not only is the focus education, but also on the health and wellbeing of all the pupils. Almost half of local children (42%) are so malnourished that their growth is stunted. St George’s provides over 3,000 meals per week and monitors the physical development of the children. As well as ensuring the adequate nourishment of the children during term time, a summer feeding programme now operates to support families during the long summer holidays, as dramatic weight loss was observed in children on their return in the Autumn. Our ‘Oscar’ Kubota excavator has been very busy these last 12 months, working on many projects in Kent; including some local schools in and around Canterbury, a Youth Recreation Project in Aylesham and at the development of a cold storage facility at a local fresh food packaging company. The culmination of this hard work has enabled Skelton Plant Hire Ltd to make a donation of £275 to the Northwood African Education Foundation and we are delighted that we are supporting a charity that is making such a huge difference to so many vulnerable children and young adults in Ethiopia. Not forgetting ‘Max’ and ‘Rupert’, who have been equally busy throughout 2018, we will be making their donations in the coming weeks and will inform you of their chosen charities. If you would like to learn more about the NAEF, or would like to personally support this great charity in any way, then please visit their website. 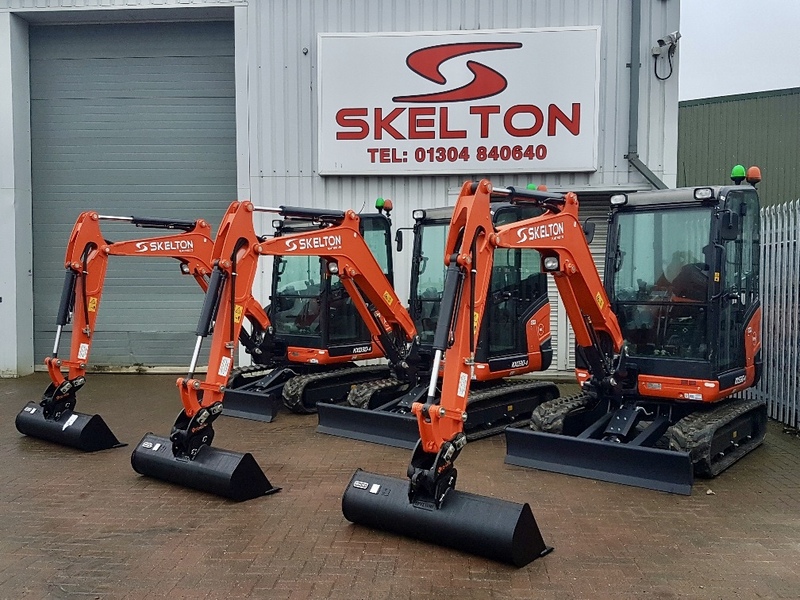 You can of course hire either of these three Kubota excavators by getting in touch with our helpful hire team on 01304 840640, or by emailing enquiries@skelton.co.uk . In the meantime Skelton Plant Hire Ltd wish you all a very Happy, Healthy and Exciting New Year!